Get a quick addition review using multiples of five while celebrating America's independence! 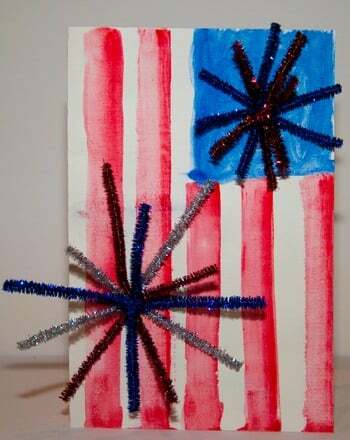 Kids will solve these star spangled addition problems for some 4th of July fun. Help your child avoid the summer slide by using this Independence Day themed addition worksheet in July. These addition problems will keep him sharp during summer break! Solve some two-digit addition problems with your little one this St. Patrick's Day. Patrick's Day, with some 2-digit addition problems to solve. 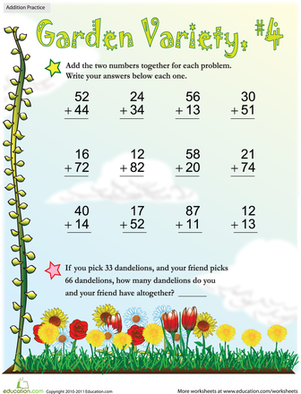 On this flower-filled worksheet, kids test their addition facts as they practise two-digit addition.